Pontoon bridges have a long history, which dates back to ancient times when they began being used for military purposes. They were first used in China nearly three thousand years ago. Legendary Persian leaders Darius and Xerxes I had pontoons constructed to aid their troop’s passage into Europe in the middle of the first millennium BC. The early pontoons constructed under Xerxes’ orders were mentioned in the writings of the Greek author Herodotus. A century or so later Alexander the Great is believed to have used basic materials to build pontoons across the Oxus, using rafts that were made from the hide tents of his soldiers. These were then filled with straw. The Romans also recognised the strategic importance of pontoon bridges. For Napoleon Bonaparte the pontoon bridge was an important part of his strategy during his campaigns, and he would utilise prefabricated pontoons made out of materials such as copper and wood. Later in the 1800s, the US Army made early, though unsuccessful, attempts to build pneumatic rubber pontoons. This idea was, however, revived by the US Army during World War II, but this time with the help of air compressors. 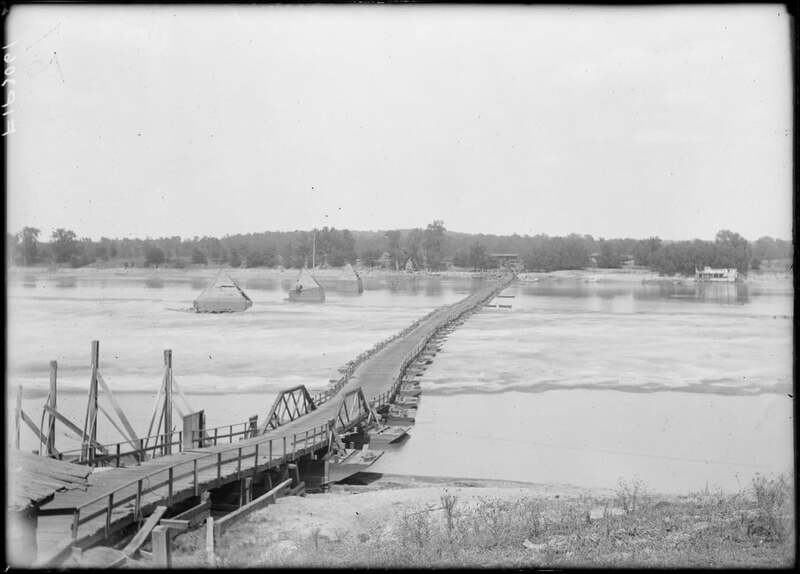 The strategic importance of pontoon bridges continued into the second half of the 20th Century, too. They were used during the 1973 Arab-Israeli War and during the Balkans War of the 1990s. An early example of a pontoon bridge being built in the UK to be used by civilians was London Bridge. Today there are many examples, all over the world, of long pontoon bridges that have been built for civilian use, notably in the United States. There are two pontoon bridges, for instance, in Washington State that stretch across Lake Washington. They are the Governor Albert D. Rosellini Bridge (spanning over 7,500 feet) and the Lacey V. Murrow Memorial Bridge (spanning more than 6,600 feet), and they are the two longest pontoons in the world. This entry was posted in Bridges, Marine and tagged bridge, bridges, marine, pontoon, pontoon bridge. Bookmark the permalink.